For those of us who have already put up the tree and started wrapping presents, Christmas is the most exciting time of the year. Make this Christmas one to remember by gifting a handmade and unique jewellery gift to the men in your life. With a magical selection from expert designers, there is something for everyone. 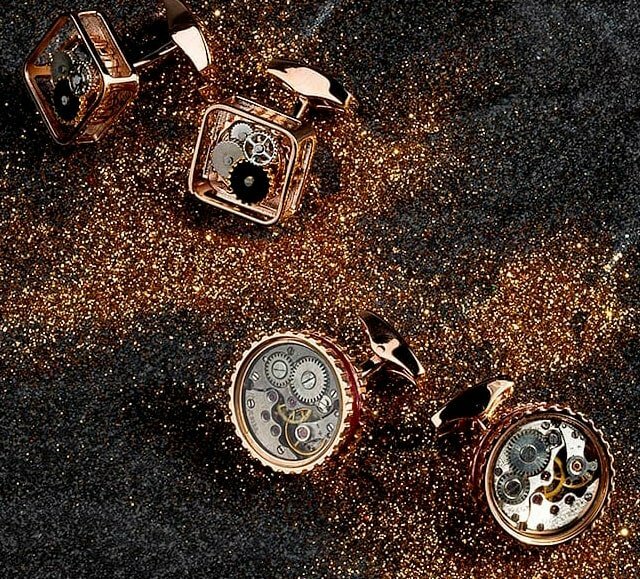 Take a look at our selection of men’s gift ideas, including show stopping signet rings, quirky gifts, irresistible leather and dazzling cufflinks. 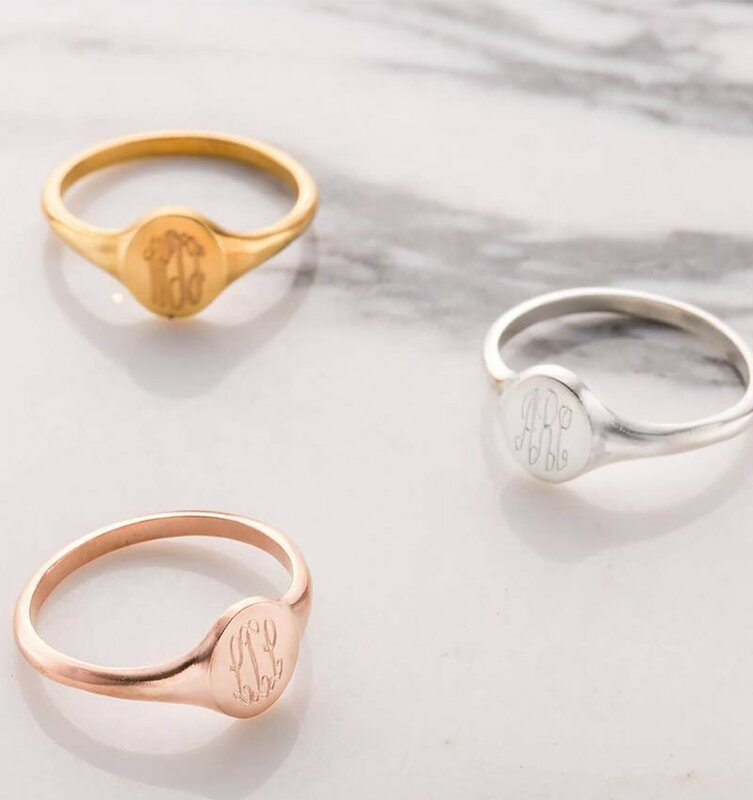 Signet rings are an amazing gift that compliments any suit or casual look. 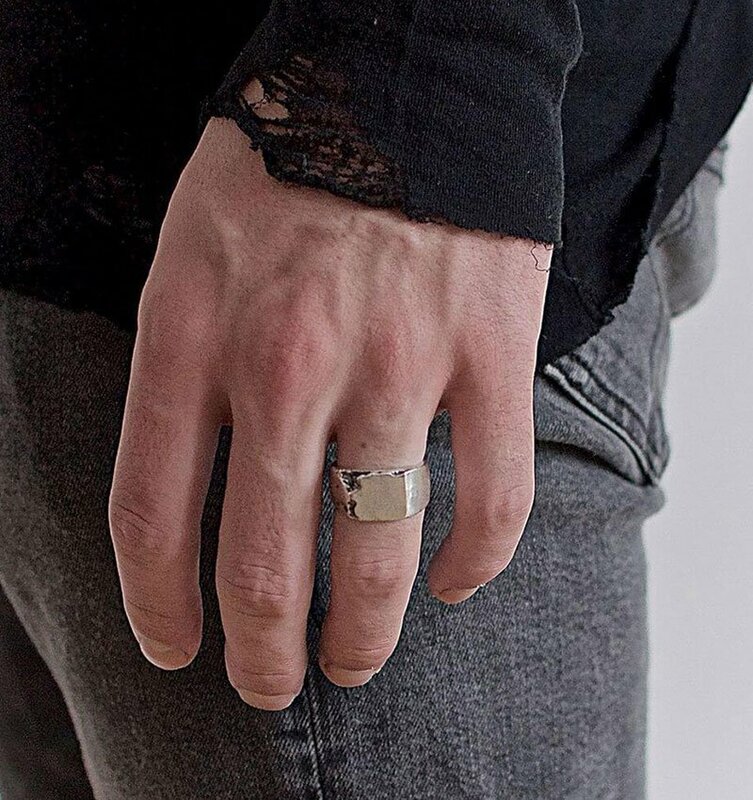 Bold and classic, signet rings elicit a sense of power and confidence. 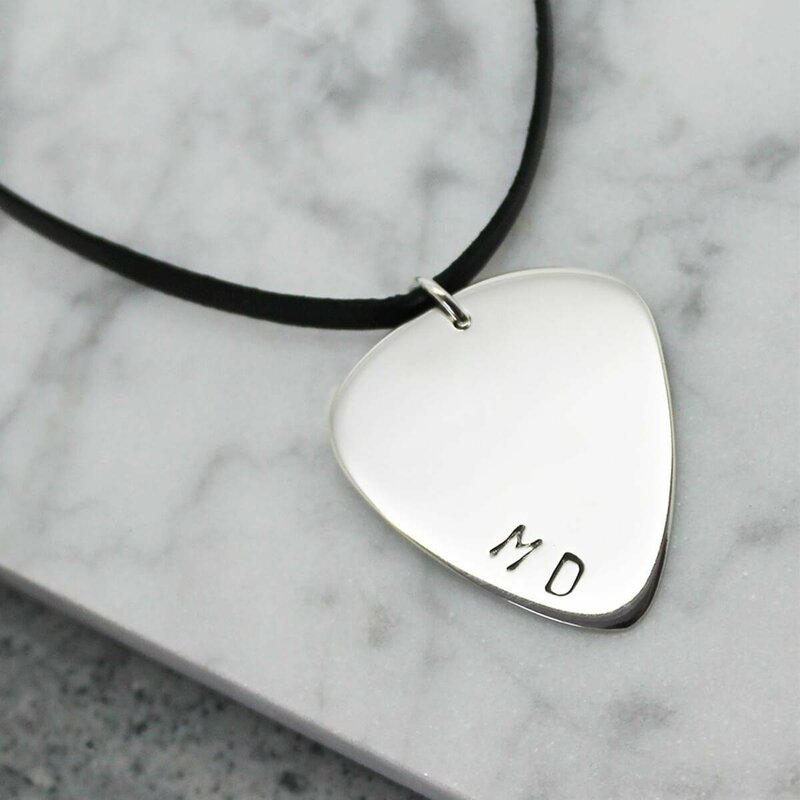 Perfect to personalise, incorporate the receiver’s initials or family crest to make the gift more thoughtful and unique. 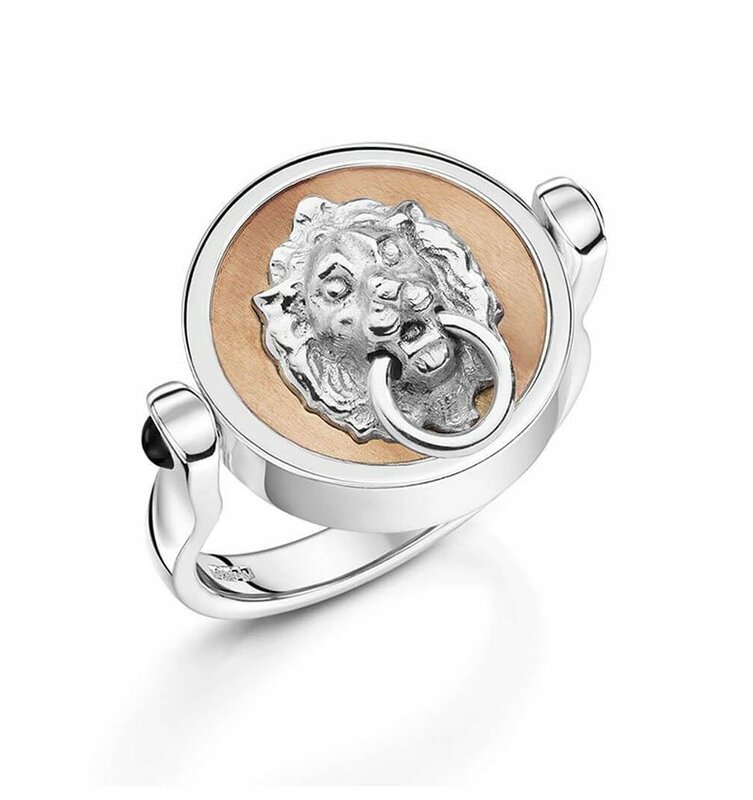 Choose something daring this Christmas, like this bold Lion Head Door Knocker Signet Ring, inspired by classic and traditional architecture. Crafted in 925 Sterling silver, featuring 18kt rose gold plating and black onyx cabochon accents. Looking for something unique and unusual? Showcase your wild side and go for a distinctive and out-of-the-ordinary gift this Christmas. Quirky jewellery makes an impression and will be unforgettable with any outfit, day or night. Designer and goldsmith, Chelsea Skelly loves working with the image and symbolism of the skull. 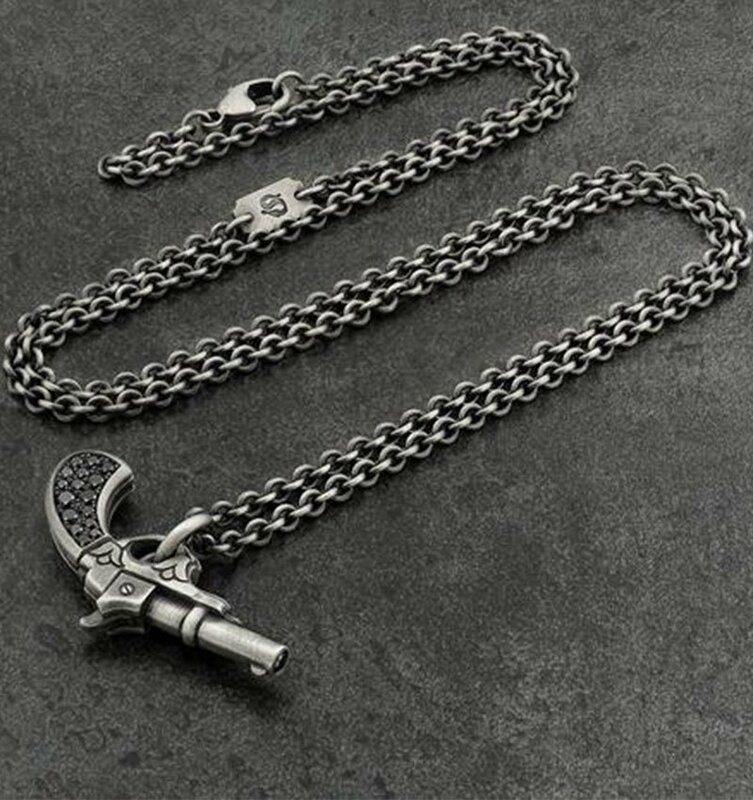 She believes that wearing this necklace makes the wearer accept their own mortality. 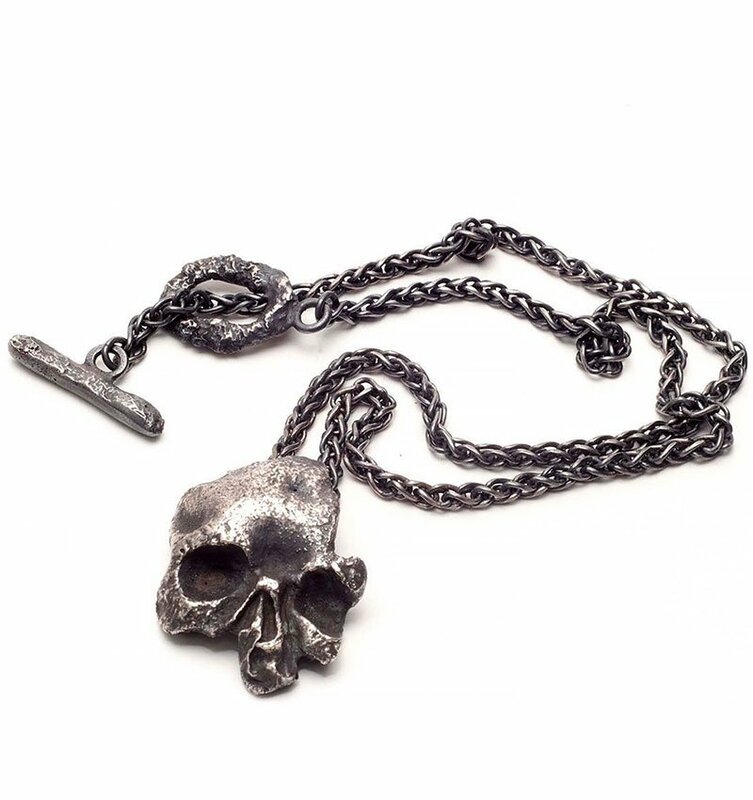 In solid sterling silver, this necklace is broken and fragmented, giving an edgy look. These Aries Ram cufflinks are perfect for the outgoing and non-conventional jewellery wearer. Fun and playful, these cufflinks are sterling silver with a frosted texture and a hairy chest on the ram! Cufflinks are a staple in a man’s wardrobe so why not invest in a pair of quality handmade pieces? 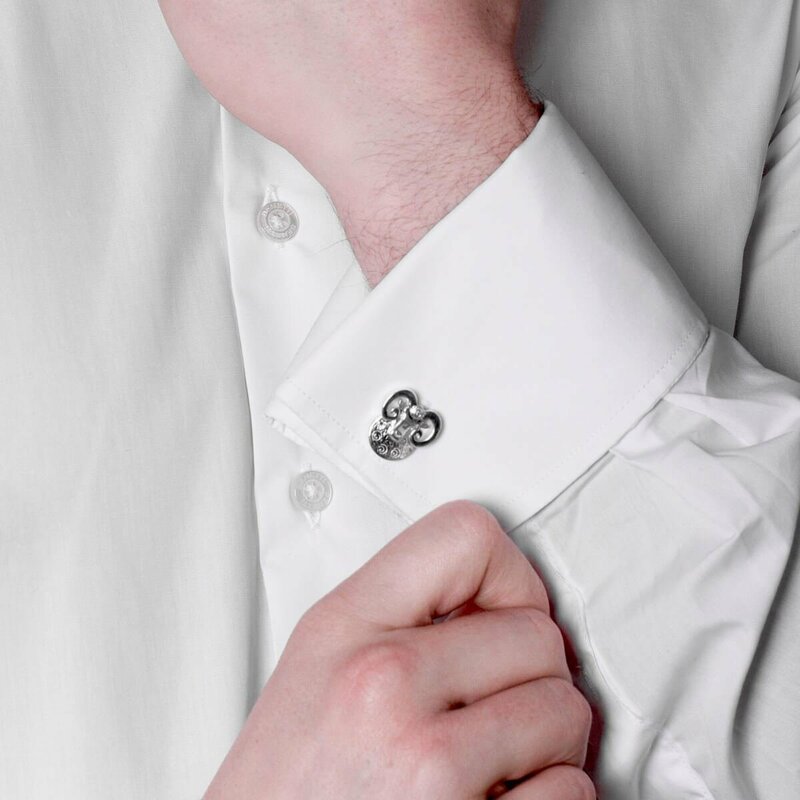 A perfect way to showcase your personality, cufflinks are memorable, professional and ideal for those who want to stand out. 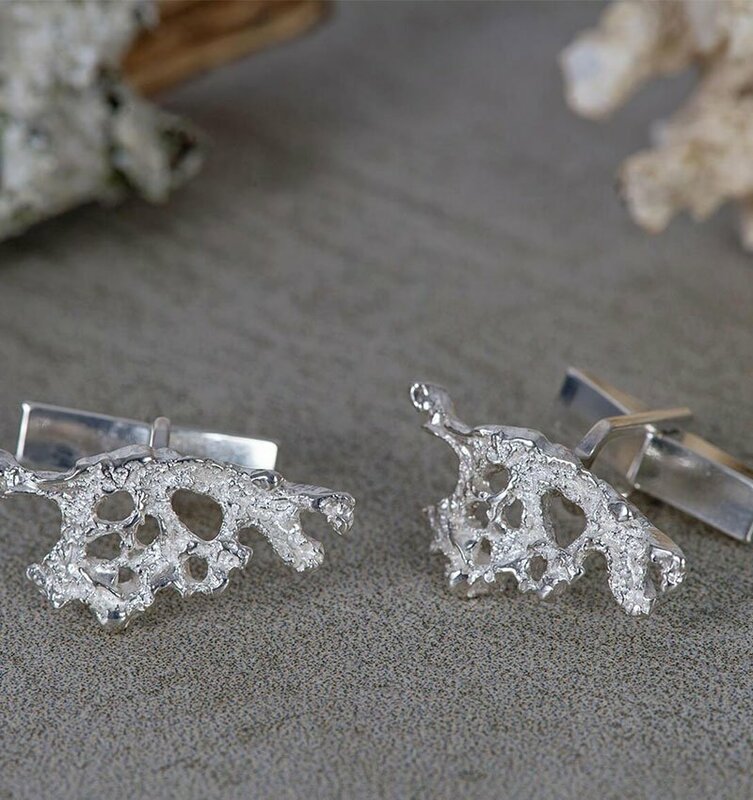 Show off your personality and sense of humour with these incredible cufflinks by Tateossian. 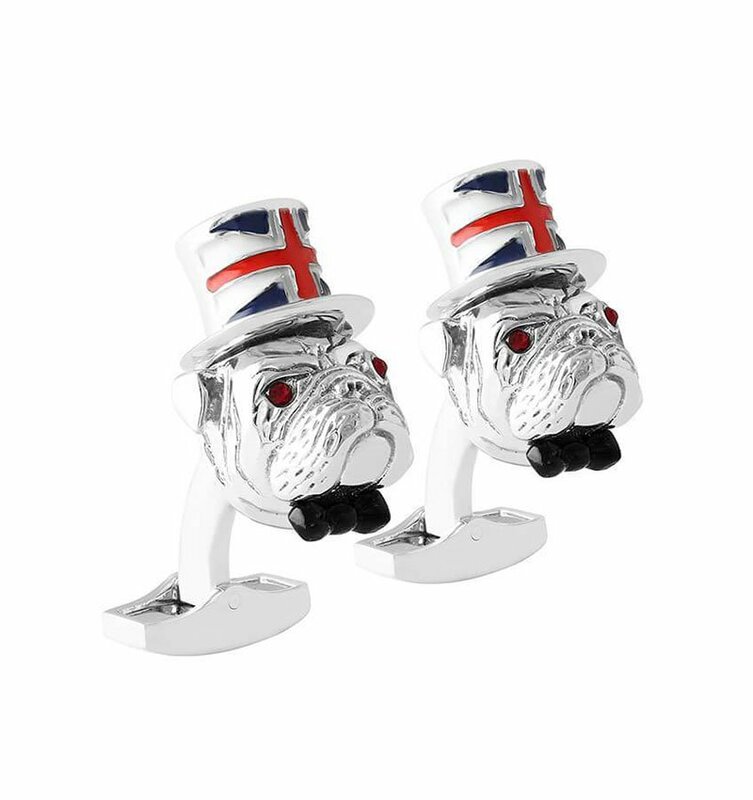 With a patriotic pop of colour, these bulldogs are suited and booted - you should be too! 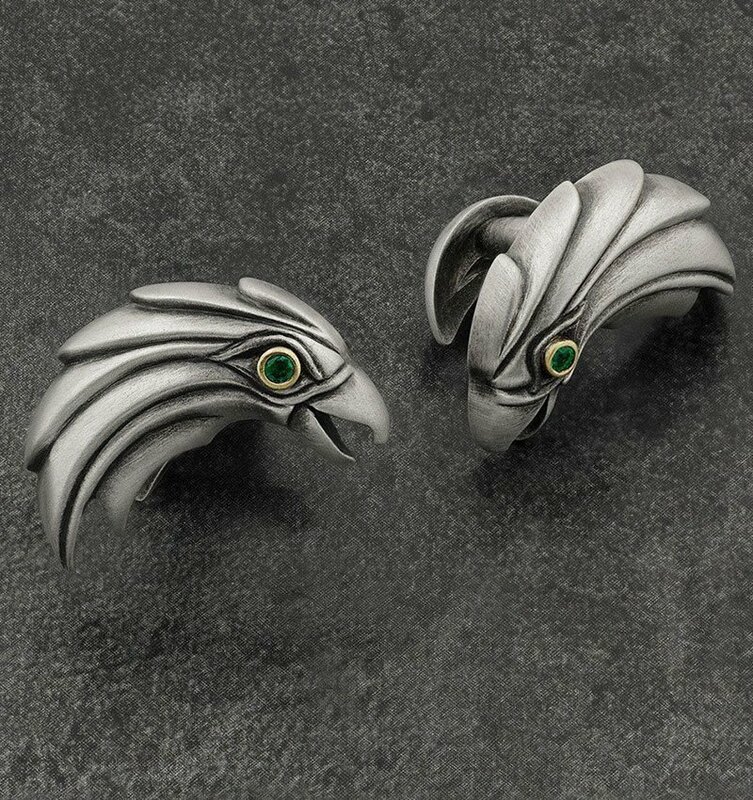 These striking eagle cufflinks are 18kt made with gold accents and emeralds - a striking look which will draw eyes from everywhere. 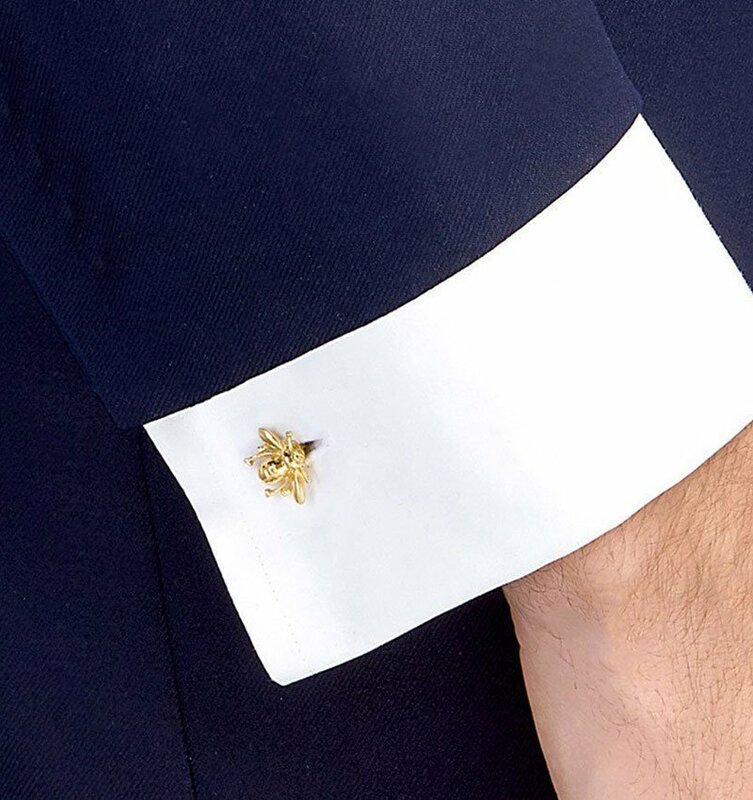 Modern style with a classic symbol, these eagle cufflinks are for the powerful and the daring. 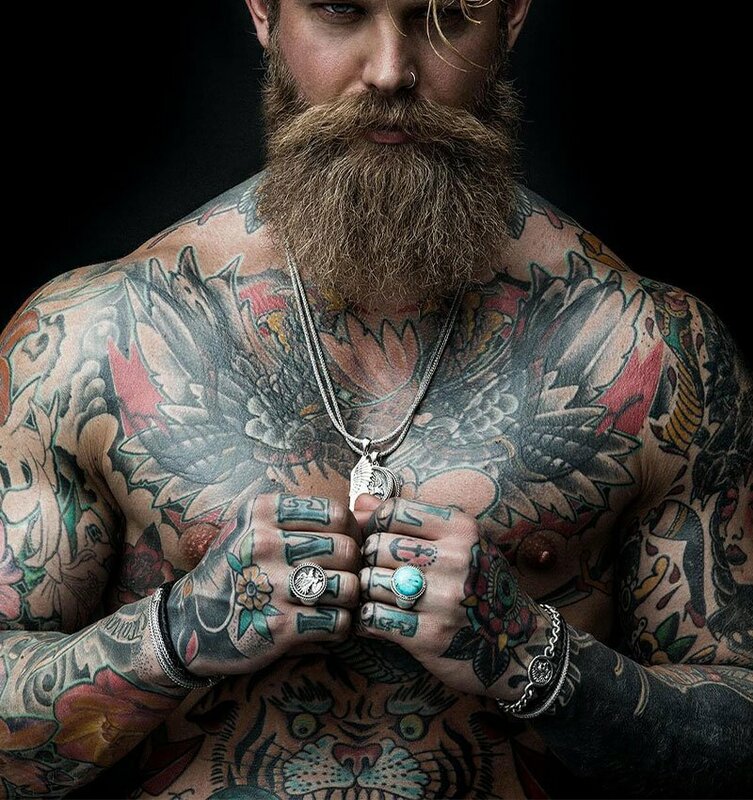 Historically used for armour and clothing, leather has now firmly found its place in men’s jewellery. 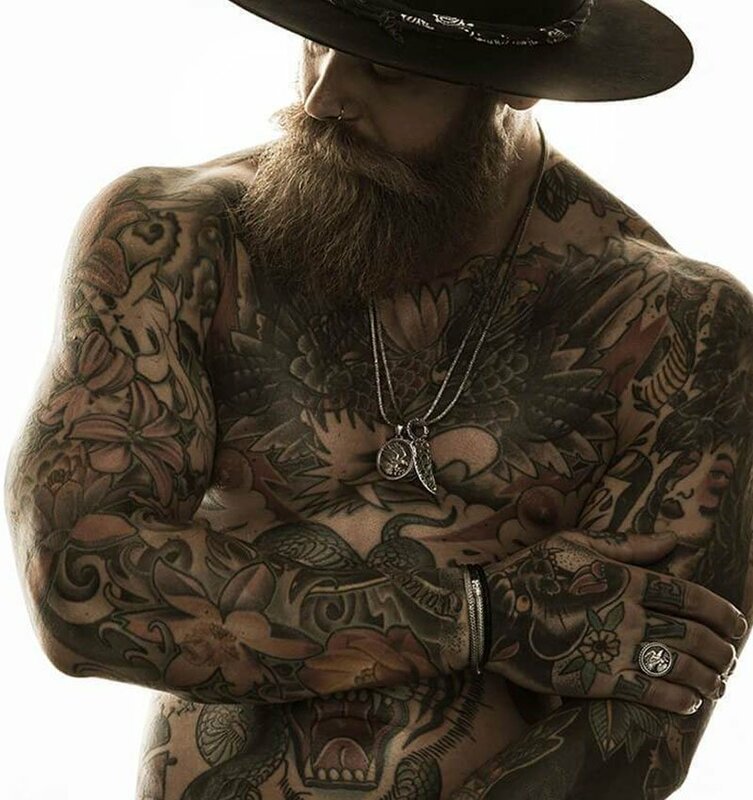 Leather jewellery is a perfect everyday accessory for the working man. Striking, yet subtle, leather is an amazing gift to give this Christmas. Classic and textured, colourful or natural, slim or thick, our selection of handmade leather jewellery is sure to make a statement. 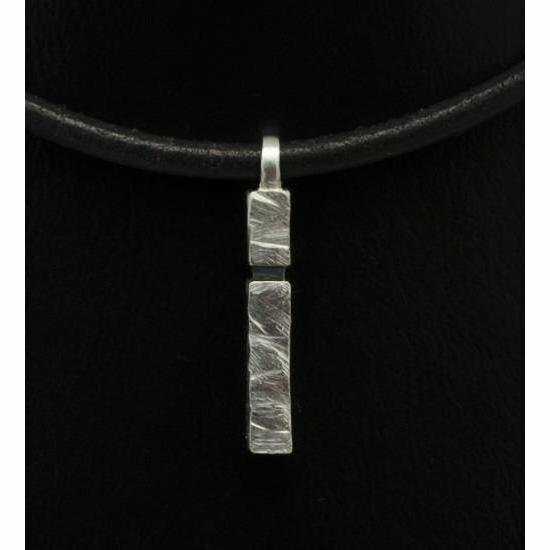 This leather necklace has an urban textured pillar hanging from it. The strong leather paired with the silver stripe is a bold and timeless look. 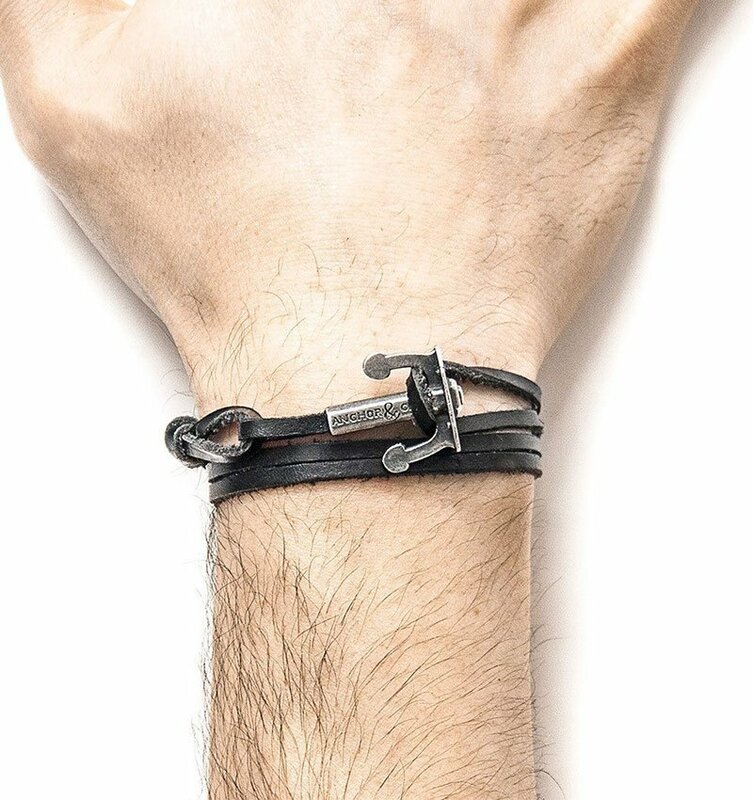 This leather and silver bracelet is a subtle yet classic design. With masterful construction, this bracelet is a high quality bold piece to add to your collection. 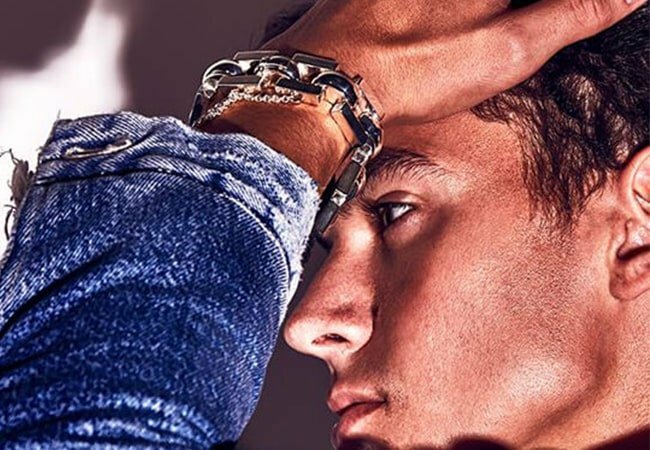 Men’s jewellery is bigger and better than ever and this blog post is a handy guide for anyone struggling with what gifts to get for men. If you're in need of any inspiration, we've listed some of our favourite jewellery picks which will be sure to wow this Christmas!